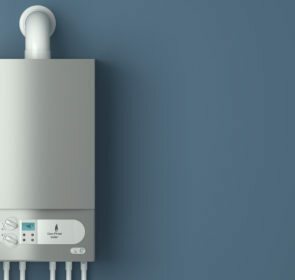 How much will it cost to get a boiler installed? The exact numbers are difficult to find without consulting a heating professional. 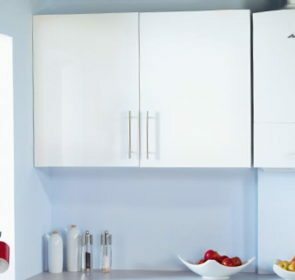 In the meantime, get a general idea of prices and what influences your boiler installation cost by browsing this outline. 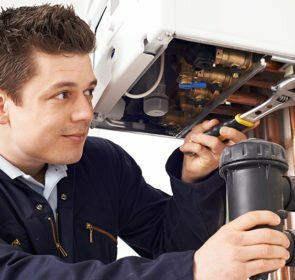 What price should you expect for installing your boiler? Installing a boiler is a very technical and labour-intensive endeavour. With regulations and safety measures, you’ll most likely enlist the help of a heating professional to complete the task. But what is the boiler installation cost? Each heating company will calculate its installation costs differently. It will also vary due to the specifics of your home and your heating needs. For example, the parts needed to be installed will play a large role in determining the price. The scope of that installation will also be influential, as larger boilers (and corresponding components) will call for a higher price. To get the most accurate information on exact prices, you’ll need to get in touch with installers. This means contacting multiple professionals—at least 3—to collect various price points. However, before you do this, it’s a good idea to look at average prices first. That’s why we’ve compiled the following prices for installing a boiler, depending on the installation particulars. Are you looking for a way to save on your boiler installation cost? Then your next step is reach out to numerous heating companies. Gather their prices for installing your boiler and compare. You’ll be able to quickly and easily identify the offer that best matches your budget. Get quotes for free and without the worry of a binding agreement! Looking at installation prices, you might be wondering why they differ so much. 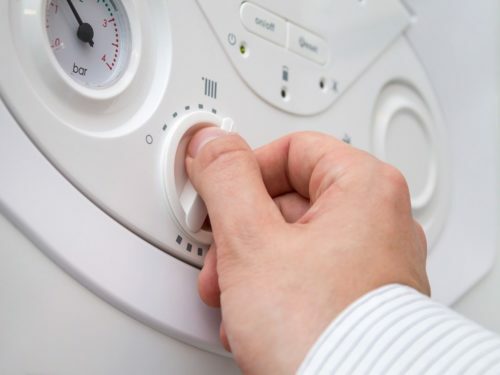 There are many factors that affect the cost of a boiler installation. The amount of work involved, the sourcing of components, individual labour costs, as well as your location all help determine the final price tag. Some of these are influenced by the type of heating system you choose and the layout of your home. 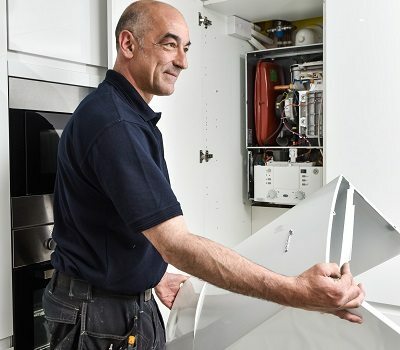 Here are some of the situations you might find yourself in when it comes to installing a boiler. Your heating engineer will need to remove unnecessary heating system parts. These are the hot and cold water storage tanks, as well as the feed and expansion tank. Installation will also involve redirecting or removing extra pipes and adding a drain for condensate. If you install the new boiler in the same place as your old unit, the task will be easier and cheaper. For a new location, you’ll need to clear out a suitable space so your installer can add the necessary plumbing. The more piping needed, the higher your boiler installation cost. Installing a new combi boiler tends to be much easier than other types. The compact size of the combi boiler makes it easier to fit in your airing cupboard, loft space, or kitchen. For a replacement in the same location, it is incredibly easy to switch in the new unit. Also, the unit has many components built in, such as the motorised pump, expansion vessel, and various gauges. This saves time and money as the parts don’t need to be installed separately. 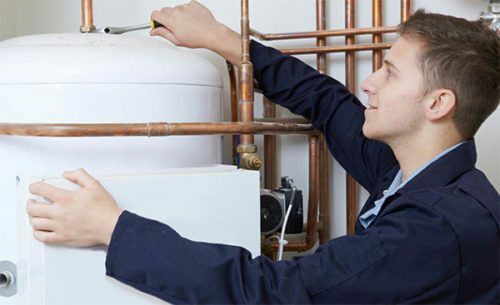 With a condensing type boiler, your heating engineer will install a drain to get rid of condensate, the liquid that forms from the water vapour of the exhaust gas. They will also add a flue pipe for waste gases to escape. If you’re changing the location of the boiler, the installer will need to reroute the flue. In rare circumstances, you might want to change the way you power your heating system. In these cases, certain steps will be taken. For example, adding an oil fired boiler requires the installation of an oil storage tank, usually outdoors. 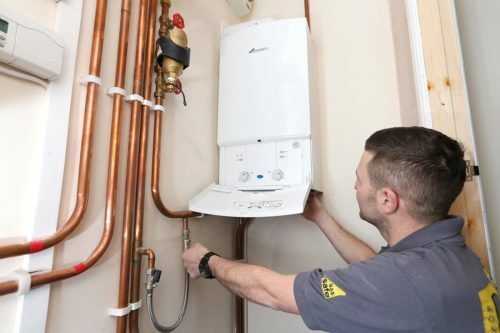 If you are switching to a gas boiler, you need to make sure you have a gas mains connection. Getting hooked up to a gas network can be timely and costly, but the associated running costs are low compared to other fuels. A heating system run by electricity tends to be the easiest as you’ll just need to plug in the boiler, radiators, or storage heaters into outlets. The boiler installation cost is contingent on other issues that you might overlook. These are important since they’ll influence your final bill. Another issue is a legal one—there are regulations on who installs your boiler. When you are installing a new boiler in place of an old one, a chemical or power flush is usually needed. These processes aim to remove sludge from the pipes in your system, making sure your heating will run properly after installation. A thorough flushing of your system will cost between £200 and £400, so allocate enough room in your budget just in case the need arises. One thing to look out for is that your installer has the proper certifications to be completing the job at hand. Per regulation, all gas boilers need to be installed by a Gas Safe registered heating engineer. For an oil boiler, an OFTEC registered installer is mandatory. Also, depending on the brand, a certified installer is necessary in order to keep your boiler warranty valid. What if you could save 40% on your boiler? Luckily, it’s possible! By just taking the extra step to compare the prices of 5 heating companies, you’ll easily determine the choice that best matches your needs. Our secure form takes only 1 minute, incredibly simple, and is non-binding, meaning you’re in full control of your decision. Gather price offers and reduce your boiler installation cost now!